Soccer is by far one of the most fun sports to play. Regardless of skill level, people of all ages are able to enjoy this sport. Not only that, but it’s one of the most physically demanding games where players often run multiple miles just within a single game! 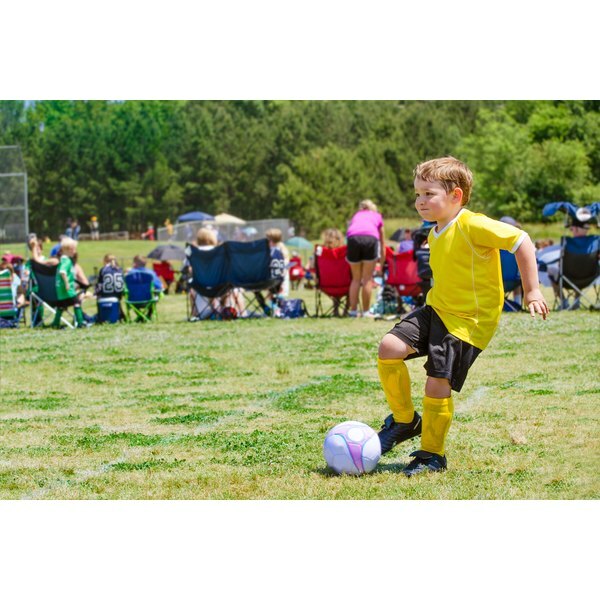 As part of its physicality, soccer definitely involves competitive contact-filled action—you need to make sure you protect yourself with shin guards. And you’ll need to know how to wear soccer socks in order to wear your shin protectors. First, you need to pick the right pair of socks. Start by choosing a pair that matches your team’s color. Then, choose a pair that provides ample padding—remember all that running you’ll be doing! Put on an initial pair of ankle-high running socks. Put on your shin guards. There are several different styles of shin guards available today, but they are usually in the form of a slip-in guard or a slide-on guard. Slide-on guards feature an elastic band that slides around your foot (over your running socks) and then straps around the top of the calf with a Velcro strap. Roll your soccer sock up by approximately three-quarters of its length before you put it on. Now, slip your foot in until your toes touch snugly against the tip of the sock; pull against the rolled section to ensure a tight fit. Continue by unrolling the sock toward your knee until it is completely unrolled. Pull on the top of the sock with both hands to make sure there are no uncomfortable wrinkles on the bottom of your foot. Put on your cleats and you’re ready to play! Make sure you wear your soccer socks every time for the best comfort and safety so you can continue to enjoy yourself without any injuries. Even with a properly padded pair of soccer socks, many players often benefit from wearing two layers of socks. Put on an initial pair of ankle-high running socks first; if you are using a slip-in shin guard, you would simply slip the guard in between your shins and the sock so that it rests in the middle of your lower leg. Originally from North Carolina, Heather Broeker studied journalism and advertising at the University of North Carolina. After graduation she moved to Los Angeles, where she worked for Fox Searchlight, Fox Reality and later as a writer and marketing director. Broeker now lives in Los Angeles and runs Head Over Heels, a writing and public relations company. How Long to Cook a Suckling Pig on a Spit?